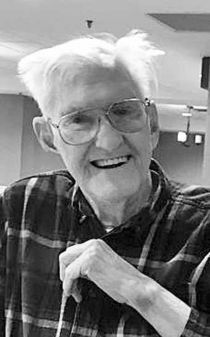 Former Salida resident Lyman Bruce Rennie, 87, of Prairie Village, Kan., died May 28, 2018. He was born Oct. 20, 1930, in Pueblo to Clarence Lyman Rennie and Sadie Marcelia Rennie and grew up on Monarch Pass and in Salida. He was a 1948 graduate of Salida High School. After graduating from Colorado A&M in 1952, his career as an electrical engineer began as a civilian employee of the U.S. Army Corps of Engineers in Anchorage, Alaska. He married his first wife, Mary, in Riverside, Calif., in 1958, and the family settled in Arvada in 1963. He retired from Public Service Co. of Colorado in 1987. Mr. Rennie was a devout Episcopalian and an active member of several churches during his life. He loved to make and fix things. His family said he never met a dog he didn’t like and that didn’t like him. They said he is fondly remembered by family and friends accumulated over a lifetime. Mr. Rennie was preceded in death by his first wife, Mary Lightner Rennie, in 1973. Survivors include his daughter, Marcelia Elise Pruitt of Choctaw, Okla.; her children, Derrick and Elisha; son Robert (Beth) Rennie of Jacksonville Fla.; their children, Brandi and Michael; great-grandchildren, Lyssa, Auri, JoJo and Liam; ex-wife, Judith Clausen of Denver; and son Bruce Rennie of Overland Park, Kan.
A remembrance will be held at 10:30 a.m. July 16, 2018, at Christ the King Episcopal Church in Arvada. In lieu of flowers memorial donations may be made to the ASPCA or an animal clinic or shelter of the donor’s preference. Interment will be at 2 p.m. July 17, 2018, at Fairview Cemetery in Salida.